Lavender, Helichrysum, Ylang Ylang, Black Pepper, Nutmeg, Juniper Berry, Rosemary, German Chamomile, Sweet Marjoram, Ginger, Vanilla, Neroli and Rose Otto in Jojoba and MCT. This is a 3.3% essential oil blend in carrier oil. 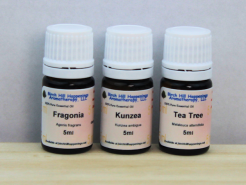 A wonderful blend of essential oils known for their helpful properties including: analgesic, anti-inflammatory, nerve sedative, antispasmodic, anti-rheumatic, rubefacient (heating and circulation) warming, emotionally warming, anti anxiety, anti-stress, anti-multiple sclerosis, chronic fatigue supportive. calming, euphoric, anti-depression, insomnia, relaxing, anti-depression, relieves tension and more. "The speed of relief delivered by this massage oil is amazing. It is pleasantly scented, works quickly & effectively and the effect lasts for many hours." Clients with Rheumatoid arthritis; but one had nonspecific pain in upper arms. She said the clients got immediate and lasting relief. She Loved the smell!
" I have already recommened this product to several clients. Mostly those who have mild arthritis/joint problems. I elected to 'test' it on someone who had more severe ailments. I was confident in the product since I have always been happy with the products purchased from your company." The "Testers" suggested we offer a Premix Massage oil, a Thicker lotion, a Cream and as a Synergy blend of the 100% Pure Essential oils to be used in their own carriers, lotions or in a bath (foot, hand or tub). 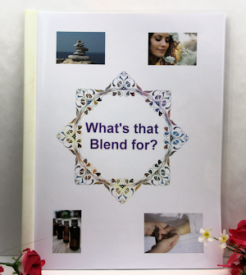 Will this blend work for you? We can't tell you if it will. Only you will know if you try it. That is why we offer small sizes. Our testers were each sent just a 2 oz sample of massage oil and 1 oz of lotion. They were able to tell right away. They continued to use it for several weeks. If you are tired of smelling like Peppermint and Eucalyptus, the two most commonly used essential oil used in joint and muscle rubs you might want to try something that has been described as very pleasant, sweet at times, like licorice (one tester thought so), one thought it smelled chocolately, but most said it was a nice change from the mint and camphor smells. symptoms of Fibromyalgia. I received it on Friday and boy I am happy I did. I have slept without pain for the first time in years.